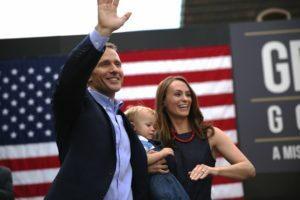 Missourinet reported earlier today that the legal team for Governor Eric Greitens has announced in a pleading that the governor will not testify when his criminal trial begins on May 14. The information was given to Missourinet from a source with knowledge of the case. Based on the interpretation of a public document obtained, it does not explicitly state the governor will not take the witness stand during his trial. The defense document aims to keep the prosecution from using the governor’s choice against him, whether he decides to talk publicly about any allegations or not. It states the governor has a right to plead the Fifth Amendment and not testify in court. The attorneys for Greitens can decide at any time whether the governor will testify under say there is no decision at this time. 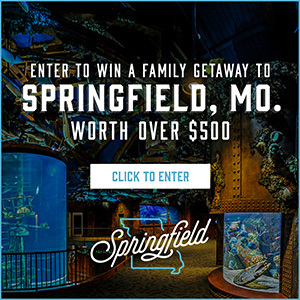 Missourinet regrets publishing incomplete information in the initial story. Attorneys Ed Dowd and Scott Rosenblum say they’re leaving all options on the table and the decision is not made until the conclusion of the State’s case and after a thorough review of the State’s evidence at that time. Two court hearings on the case will be held on Monday. St. Louis Circuit Court Judge Rex Burlison is expected to rule Monday about whether reporters attending the court trial will be allowed to record audio. Burlison has already banned cameras in the courtroom during the trial. Missourinet will cover the governor’s trial in St. Louis and will have regular updates each day. Jury selection begins Thursday, May 10.